MEEKINS INSURANCE SERVICES | Blue Select, Health Care Reform, Obamacare Affordable Quotes, BCBSNC, blue cross blue shield nc, blue cross blue shield north Carolina, dental insurance, family, group health insurance, group insurance, group plans for businesses, health plans, individual health plans, medicare supplement, advisors, authorized agents, expert, professionals, firm, company, North Carolina, Apex, Asheboro, Asheville, Beaufort, Burlington, Cary, Chapel Hill, Charlotte, Concord, Durham, Elizabeth City, Fayetteville, Fort Bragg, Garner, Gastonia, Goldsboro, Greensboro, Greenville, Havelock, Hickory, High Point, Huntersville, Jacksonville, Kannapolis, Kernersville, Kinston, Lexington, Lumberton, Manteo, Matthews, Monroe, Morehead City, New Bern, Newport, Outer Banks, Raleigh, Rocky Mount, Salisbury, Sanford, Shelby, Statesville, Thomasville, Wilmington, Wilson, and Winston Salem. Blue Select® is a tiered benefit plan that features a large network of providers at a lower cost than Blue Advantage®. Blue Select is a good fit for those who want savings but also want the flexibility of access to our largest network of providers. Blue Select offers two tiers of in-network benefits in addition to out-of-network coverage. You are always free to choose providers from either tier or out-of-network, but you’ll receive a richer benefit and more savings by choosing a Tier 1 provider. The blue shaded area on the map represents the network coverage for the Blue Select network. Dark blue represents Tier 1 providers and light blue represents Tier 2 providers. We’ve taken the large network you know today and tiered its hospitals and specially selected physicians in neurology, OB/GYN, general surgery, cardiology, orthopedics and gastroenterology. This tiered approach means there is a smaller number of providers available in Tier 1 for the specialties listed above. Tier 1 provides a richer benefit and represents the hospitals and selected specialists that received Blue Cross NC’s top ratings for clinical quality outcomes, cost-efficiency and accessibility. Also included in Tier 1 are providers outside of the specialist categories listed above as well as providers located outside the state through the BlueCard® network. Tier 2 provides a less rich benefit and represents the remaining in-network hospitals and specialists that meet Blue Cross NC’s standards for clinical quality outcomes, cost-efficiency and/or accessibility.2 Doctors and hospitals that are not Tier 1 or Tier 2 will be covered as out-of-network. 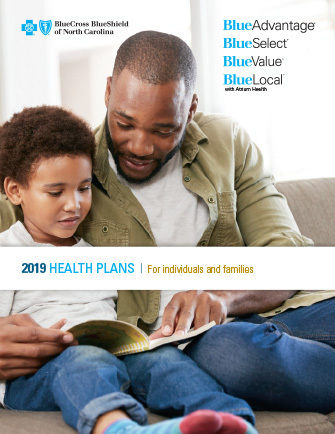 Blue Select plans are copayment plans. They offer predictable copayments so you’ll know what to expect when paying your medical expenses. 2. Blue Select offers two tiers of benefits in addition to out-of network coverage. Tier 2 providers may not have met one or more of the standards necessary for inclusion in Tier 1.